The Dictator Responds to Being Banned From the Oscars! 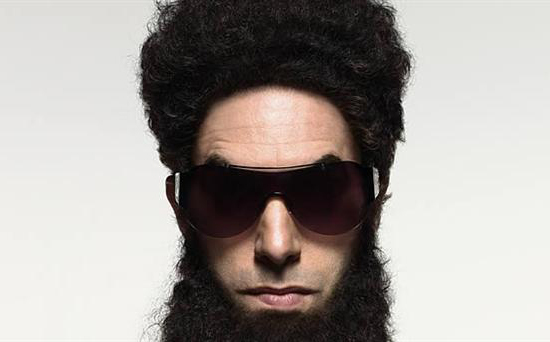 The Dictator's Admiral General Aladeen [Sacha Baron Cohen] leader of the fictional middle eastern Republic of Wadiya has delivered a formal response to being banned from The Oscars by "the Academy Of Motion Pictures Arts & Zionists." The Dictator hits theaters May 11th & also stars Anna Faris, Ben Kingsley, Megan Fox, John C. Reilly & J.B. Smoove. The Academy maintain that they have not banned the actor from the ceremony, but are unwilling to let him use the red carpet to publicise The Dictator. Hit the jump for the details. Synopsis: "The heroic story of a dictator who risked his life to ensure that democracy would never come to the country he so lovingly oppressed." I'm reading: The Dictator Responds to Being Banned From the Oscars!Tweet this!